If you or a loved one was seriously hurt in a car accident, motorcycle accident, boating accident, or any other type of serious accident, you probably have a myriad of questions and some of those questions likely include the legal recourse you may be able to take against the reckless driver. Below are six questions you should ask a Miami personal injury attorney during a free consultation. Question No. 1 – Do You Work on a Contingency Fee Basis? Most personal injury law firms operate on a contingency fee basis. This means that your lawyer does not get paid unless and until they achieve a monetary recovery for you. Contingency fee agreements are negotiable but typically range between 33 percent and 40 percent, depending on the type of case and whether your case winds up going to trial. Question No. 2 – Do You Have Experience Litigating Personal Injury Cases? You do not want to hire just any lawyer who claims they handle personal injury cases. Instead, you need to ask for the lawyer’s experience in actually taking personal injury cases to trial and their results. Question No. 3 – When is a Personal Injury Lawsuit Filed in Court? In most cases, a demand letter is sent to the reckless driver’s auto insurance company seeking financial restitution for your harms and losses. A claims adjuster will then be assigned to the claim and work on negotiating the claim. If they do not make a reasonable settlement offer, that is the moment when a lawsuit is typically filed. Your lawyer must also be vigilant with the statute of limitations. Your lawsuit must be filed within the statute of limitations. If not, it could be barred from going forward. Question No. 4 – Will My Case Settle or Go To Trial? There is no one right answer to this question. It depends on the unique facts of your case, the amount of available auto insurance, whether liability is admitted or contested, etc. Question No. 5 – What Is My Personal Injury Case Worth? Again, the value of your case depends on a multitude of factors such as the amount of your medical bills, the amount of future anticipated medical expenses, your lost wages, and whether your injuries are so severe that they’re permanent and may never fully heal. Question No. 6 – Why Should I Hire a Lawyer? Some people are hesitant to hire a lawyer. They are confident they can obtain a settlement from the auto insurance company on their own. Do not make this mistake. Auto insurance companies often take advantage of claimants who do not have legal counsel and often make lowball settlement offers. This is why you need an experienced negotiator and litigator on your side. 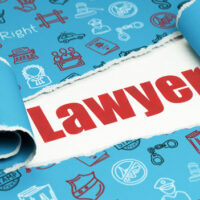 Having a lawyer helps improve your chances of obtaining a financial recovery. The experienced personal injury lawyers at the Miami office of Alan Goldfarb, P.A. are here to help you recover maximum compensation for your harms and losses. Contact our office today to schedule a free, confidential consultation.